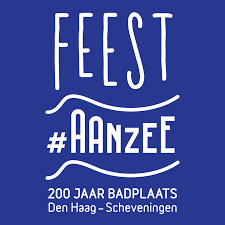 Feest aan Zee puts Scheveningen, the beach and the sea in the spotlight for the entire year 2018. All the residents and visitors are invited to come to the sea. 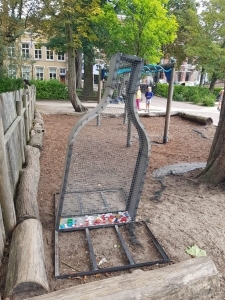 Because so many kids in the Hague have never been to the beach, Plastic Circle joined hands with de Betovering to contribute to the main goal: every child one day at the sea. 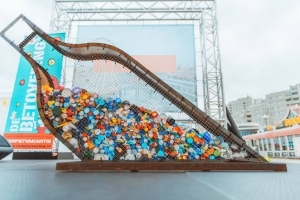 We came up with the idea to design a sculpture which represents the problem of plastic waste in the water and the value of recycling, ‘the bobbing bottle’ which we put in the schoolyard. We asked the kids to search for plastic caps to fill the bottle with. Bobbing Bottles is designed by Luuk van Vliet. Huge steel wired bottles which stand for the many plastic bottles in the water. Every participating school got a bottle to fill and all together we created a common piece of art, ‘Dobberende Flessen’ To mark the connection between the city and the sea, the Bobbing Bottles were shown/exposed at ‘de Boulevard’ in Scheveningen during De Betovering and in front of the town hall in the city center for 3 months. 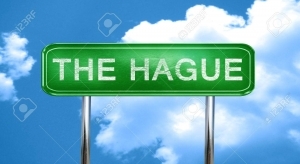 With the municipality of The Hague, the organization ‘Feest aan Zee’ and ‘De Betovering” we could make it happen. And of course all schools that participated in the program. We inspired the kids to think about solutions for plastic waste and to have a look at the beach. 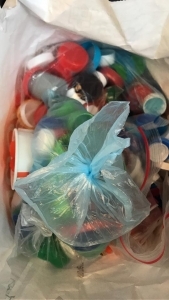 To collect plastic caps and lids showed them and their parents how many plastic we buy and bring to school. 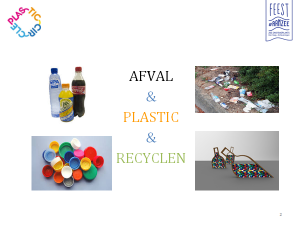 We developed a program to stimulate the primary school kids to go to the beach and to educate them about plastics and how to prevent (plastic) waste for Feest aan Zee in co-creation with de Betovering. We contacted the schools to participate. Plastic Circle took care of the whole school program, logistics and communication. Firstly, our reward is the fun and experience that we could give to the children, plastic waste is valuable! And how they could contribute to reduce ‘zwerfafval’. It is amazing to see how many good responses we received. 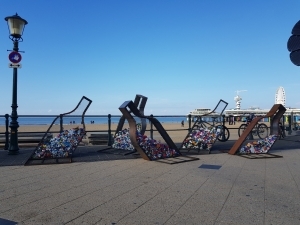 Secondly, through the artwork we’ve reached a lot of people, we created positive awareness for the problem of plastic bottles in the sea and the steel wired artwork is useable for future events. Thirdly, besides the bottles, the schools which participated in the program have got a marble tile made of recycled caps they collected for the playground. A sustainable present to remember the program and tangible reward of the bottle filled with their plastic waste. And of course to give the children a creative and fun time at school. All in all, we’ve created awareness amongst about 7.500 schoolkids and their parents. 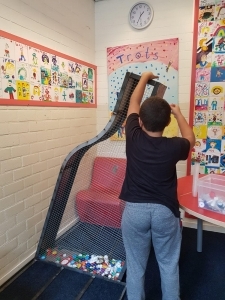 The children had guest lessons about plastic, the possible waste it leaves behind, how hard it is to get rid of plastic waste and the beautiful things you could make out of plastic waste. Thousands of people have seen the Dobberende Flessen at Scheveningen beach and in the city center. A great result of three parties working together! Bobbing Bottles is designed by Luuk van Vliet. Huge steel wired bottles which stand for the many plastic bottles in the water. Every participating school got a bottle to fill and all together we created a common piece of art, ‘Dobberende Flessen’ To mark the connection between the city and the sea, the Bobbing Bottles were exposed at ‘de Boulevard’ in Scheveningen during De Betovering and in front of the town hall in the city center for 3 months. Firstly, our reward is the fun and experience that we could give to the children, plastic waste is valuable! And how they could contribute to reducing ‘zwerfafval’. It is amazing to see how many good responses we received.